On 1st March 2019 the new deadline for Stamp Duty Land Tax came into force. Under the original rules, purchasers of properties had 30 days to be able to submit their Stamp Duty Land Tax form to Her Majesty’s Revenue and Customs. This timescale is now reduced to 14 days. The timescale will affect cash purchasers as if someone is purchasing with the aid of a mortgage, it is a term of the mortgage that the funds cannot be used on completion, unless the Solicitor has receipt of the funds from the purchaser on completion. Therefore, in the majority of cases, the Solicitors acting for the purchaser will have the funds from the purchaser on completion and will be able to submit the Stamp Duty land Tax form on the day of completion and send the funds to Her Majesty’s Revenue and Custom accordingly. The changes will also affect purchasers who do not use a Solicitor. Please note if Stamp Duty Land Tax is paid late, then Her Majesty’s Revenue and Customs is entitled to pay charge interest for a late payment. This is a penalty which can easily be avoided. 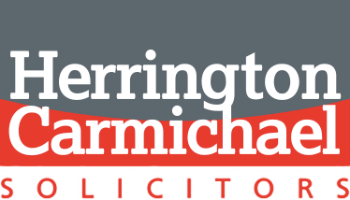 Here at Herrington Carmichael LLP, we ask all purchasers to provide the funds for Stamp Duty Land Tax to be with us by no later than close of business the day before completion so we can pay the Stamp Duty Land Tax to on completion, or the following working day if completion happens late in the day to ensure our Clients do not get penalised for paying Stamp Duty Land Tax late.